Not surprisingly, Adams had options to stay in hockey. Adams, whose playing days ended in 2008, earned loads of respect carving out an 11-year NHL career, mostly as a fourth-liner with the Carolina Hurricanes. One NHL team wanted to hire Adams for its front office, an offer he said he nearly accepted. But Adams, who won the Stanley Cup in 2006, also had an intriguing offer from Sabres owners Terry and Kim Pegula. “What I kept coming back to was the opportunity that the Pegulas were presenting me was an amazing opportunity to make the biggest difference,” Adams said. That opportunity was as a vice president and the director of the Academy of Hockey at HarborCenter, a new program the Pegulas were assembling for the state-of-the-art facility they would open in 2014. As part of those duties, Adams would run the Buffalo Jr. Sabres organization. So the affable Adams passed on the NHL for what he called “a big unknown” of running the Jr. Sabres, an organization former Sabres defenseman Larry Playfair helped revitalize years earlier. “Our goal being how do we put players in a position to develop to come out of Buffalo (as) elite-level players?” Adams said. Today, nine Jr. Sabres teams ranging from 9-and-under to 18 years old will open their training camps. A 20-and-under team recently started its camp. When Adams took over the program, the Jr. Sabres had three teams. In the past two years, 11 players from the Jr. Sabres have committed to Division-1 hockey programs, according to the organization. Another eight plan to attend Division-3 schools. Also in that span, the United States Hockey League drafted seven players. The Ontario Hockey League, meanwhile, selected eight. In April, the 15-and-under squad, a team coached by Buffalo native Jake Brozyna, won the national championship. Since those players started off as 11 and 12 year olds when Adams took over the organization, the title holds special meaning. “So this was a group of kids that kind of grew up with us, and then we felt like we could really impact them, and then to see them go out on the ice and win a championship, it was amazing,” Adams said. Adams, who finished his MBA before taking over, has put his imprint on the program. He and his staff installed what he called a “holistic” model – the whole comes from its interconnected parts – to development. Every team has three on-ice sessions – one focused on skills and two practices – a week. Teams also have two off-ice workouts and one mandatory video session. All games are filmed and coded by a video coach, just like an NHL team. Of course, former Sabres are heavily involved in the program. Matt Ellis, Patrick Kaleta, Michael Peca and Craig Rivet all coach teams. Adams and Nick Tuzzolino, a former pro defenseman from Buffalo, also coach teams. But Adams doesn’t simply give jobs to ex-NHL players. “It’s more than just I played and think I know something about hockey,” he said. Brozyna’s ability to do that impressed Adams, so he hired him. While Brozyna has no pro playing experience and isn’t a household name, he’s a junior coaching veteran. “He really holds the kids accountable, yet at the heart of what he does is he teaches and he understands the game, and that’s not easy to do,” Adams said. In 2011, former Sabres coach Lindy Ruff thought so highly of Adams he fired Brian McCutcheon, his longtime associate coach, to hire him as an assistant. 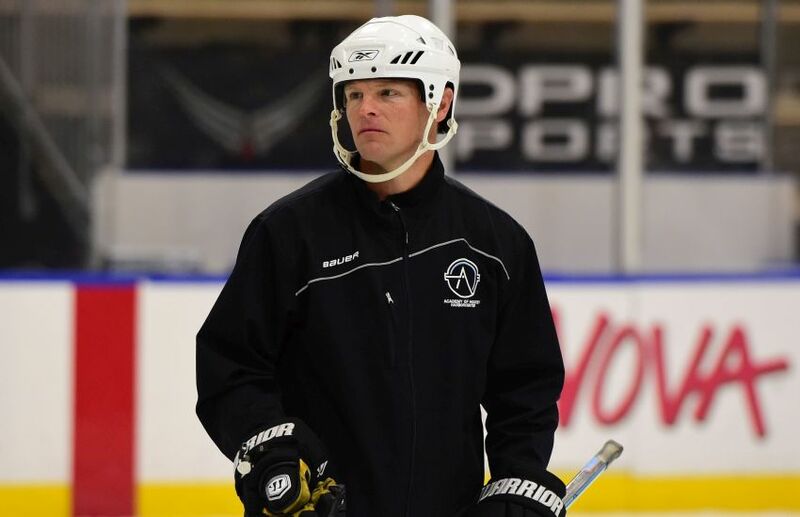 Back then, before his career took an unexpected turn, it looked like Adams would be an NHL coach a long time. Still, while Adams is fulfilling his passion, he hasn’t ruled out returning to the NHL someday. My son, Jeremy McDonald, has been playing for the Buffalo Jr Sabres organization for the past 4 years and is entering his 5th year as BJS u15 player. Having been involved with hockey over the past 55 years I can truely say that the BJS organization is world class in all respects. Mr and Mrs Pegula had a vision and Kevyn Adams made it a reality.